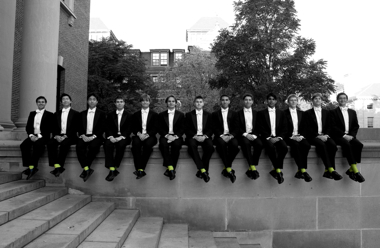 The Harvard Din & Tonics are Harvard University’s signature all-male a cappella singing group, Known around the world for their rich tradition of excellence in both music and performance. With a repertoire centered on the American jazz standards of the 1920s, 1930s, and 1940s, these Harvard gentlemen—who perform in white tie, tails, and lime green socks—have an enviable reputation for their impeccable musicality, snappy choreography, and hilarious antics. The Dins have existed in several incarnations during their history, beginning as the Dunster Dunces in 1946. 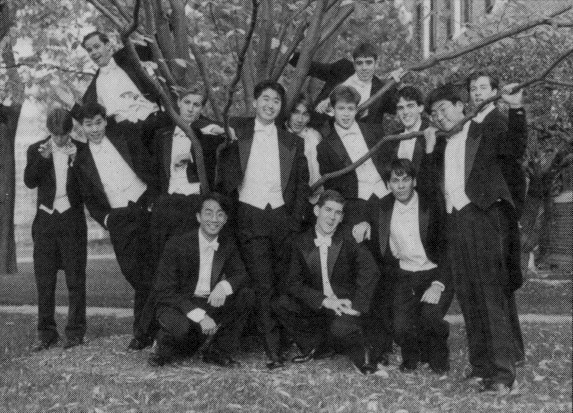 The Dunces performed around the Harvard campus until the 1960s, eventually leaving behind a treasury of barbershop and jazz arrangements that would later form the basis of the Din & Tonics’ repertoire. 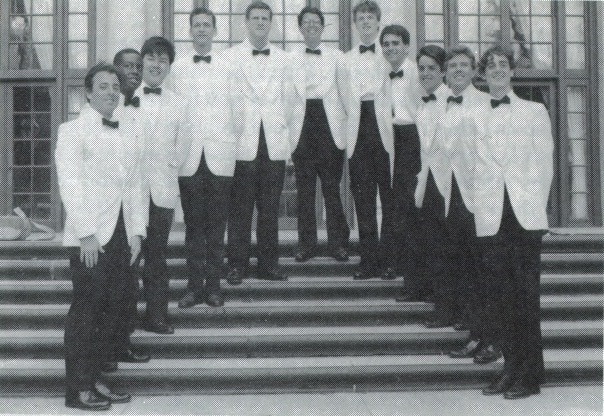 In 1979, a small group of undergraduates founded a new a cappella group at the Phillips Brooks House in Harvard Yard. Formed as a public service activity of the Phillips Brooks House Association—Harvard University’s central service organization—the Harvard Din & Tonics began to perform for the university community and local charitable organizations. After one particularly successful performance in the Dunster House dining hall, an enthusiastic tutor presented the group with the Dunces’ collection of sheet music and recordings. The rest, as they say, is history. 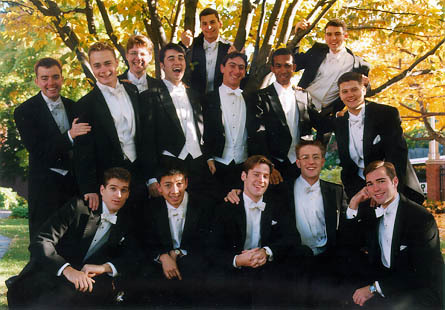 Now, nearly four decades and 15 studio albums later, the Din & Tonics are recognized as one of the world’s finest collegiate a cappella groups, enjoying a global audience while remaining committed to public service and to the Harvard community. Always performing with the vibrant energy and warm humor that have made them so successful, the Din & Tonics continue to bring you a cappella – with a twist! 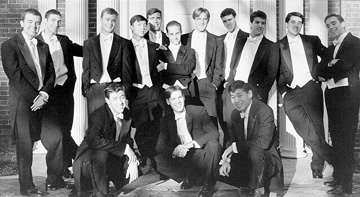 Over the years, the Dins have been privileged to perform for jazz vocalist Ella Fitzgerald, actresses Julia Roberts, Kristin Chenoweth, Sharon Stone, Jessica Lange, and Kathleen Turner, former Governor and professional wrestler Jesse "the Mind/Body" Ventura, comedian Jackie Mason, Maestro Keith Lockhart of the Boston Pops, world-renowned cellist Yo-Yo Ma, and jazz pianist Herbie Hancock, as well as the governor of Bermuda and the U.S. ambassadors to Germany, Greece, Nepal, Iceland, Ireland, Morocco, Norway, Italy, Belgium, and Australia. In May 2017, the Dins performed their arrangement of John Williams' film scores for John Williams himself at Harvard's Commencement. In March 2016, the Dins performed at the White House in Washington, D.C. for the President's Annual Easter Egg Roll. In July 2010, the Dins performed for thousands at the closing ceremonies of the Shanghai World Expo music festival. The Dins were featured in the 2003 New Line Cinemas production of Mona Lisa Smile, which starred Julia Roberts, Julia Stiles, and Kirsten Dunst. The group also performed at the film's gala premiere in New York. In May 2002, the Dins performed for host Diane Sawyer on ABC's Good Morning America. In February 2002, the Dins were joined on the stage of Harvard's Sanders Theatre by ten-time Grammy award-winning vocalist Bobby McFerrin. 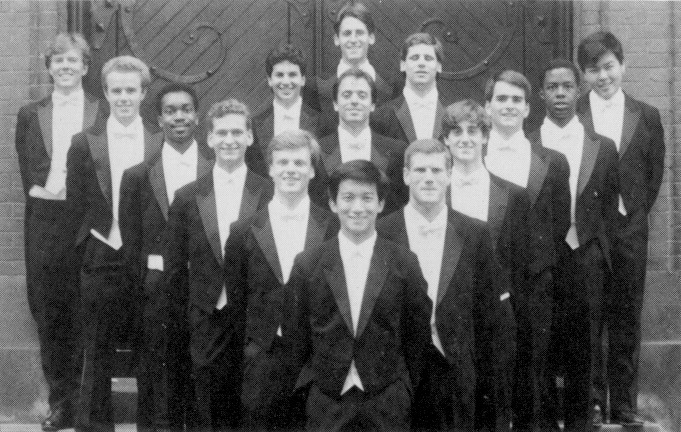 In December 2001, the Dins sang for Former U.S. President Bill Clinton at Harvard's John F. Kennedy School of Government. 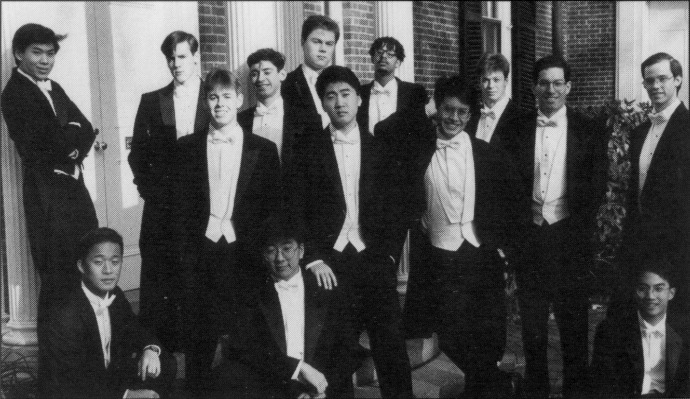 In June 1990, the Dins embarked on their first biennial World Tour. 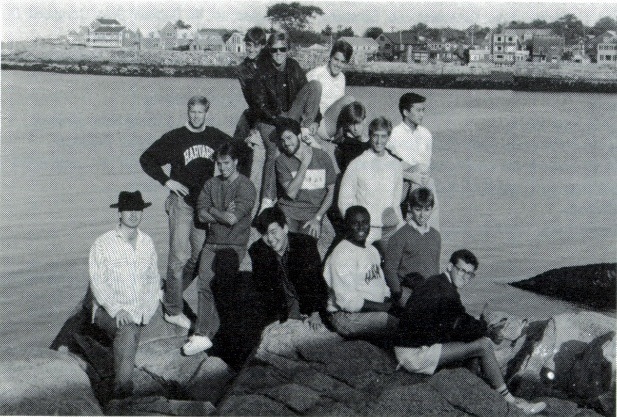 On Spring Break of 1982, the Dins made their first annual Spring Break Tour of Bermuda. The Dins have sung the United States national anthem for the Boston Celtics, the Boston Bruins, the Boston Red Sox, the New York Yankees, the San Francisco Giants, the Los Angeles Lakers, the Tampa Bay Lightning, the PGA's Ryder Cup, US embassies around the world, and countless other audiences.